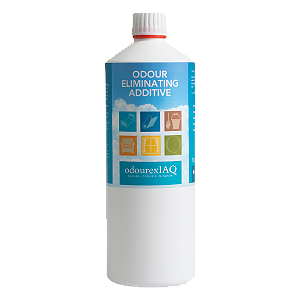 Highly concentrated odour neutraliser for extraction machines, laundries, mop buckets, or direct cleaning and odour control. It is used in a diluted form. Add to detergent when cleaning linens, towels, clothing, micro fiber mops, etc. Can be used in extraction machines. As well as elimination the odour from the surface it also clears the extraction machine of bad odour. Can be added to steamers to provide an odour control to the steamer. Once diluted it can be used in multiple ways in mop buckets or directing wipingCan be used to great effect as an additive in the laundry along with detergents to eliminate bad odours. Many facilities end up throwing out tons of linens because they can’t rid them of odour Bleach can weaken the fibres if used often. Plus, not all linens are white. The Odour eliminating Additive provides another option.